Welcome to Suite 201 in Building A of Polleys Square located at the Old Sawmill District. This new residential community is located close to downtown and is an easy commute to the University along the river trail system. 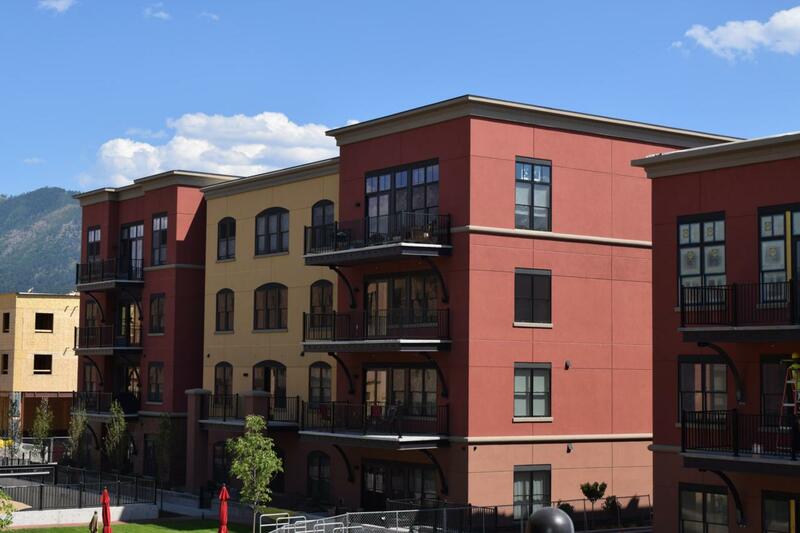 This 2 bedroom, 2 bath unit is located on the 2nd floor of Building A and offers great views of Lolo Peak from the back deck. High-end amenities include wood floors, granite counters, a lovely master suite with walk-in closet and large ensuite bathroom with floor to ceiling tiled shower. The open floor plan and high ceilings allow for great natural light. Secure building access and under ground parking plus a storage unit are also included.Enjoy the lifestyle of this newly developed neighborhood. Call Melissa Mooney at 406-531-5440 or your real estate professional to schedule a showing. Listing provided courtesy of Melissa Mooney of Windermere R E Missoula.